The time had come when the father of two sons was to decide who would receive his fortune. They both kneeled before the aged man as he spoke. "You will both race your camels to the nearest city. The owner of whichever camel arrives at the gates second will receive my fortunes." 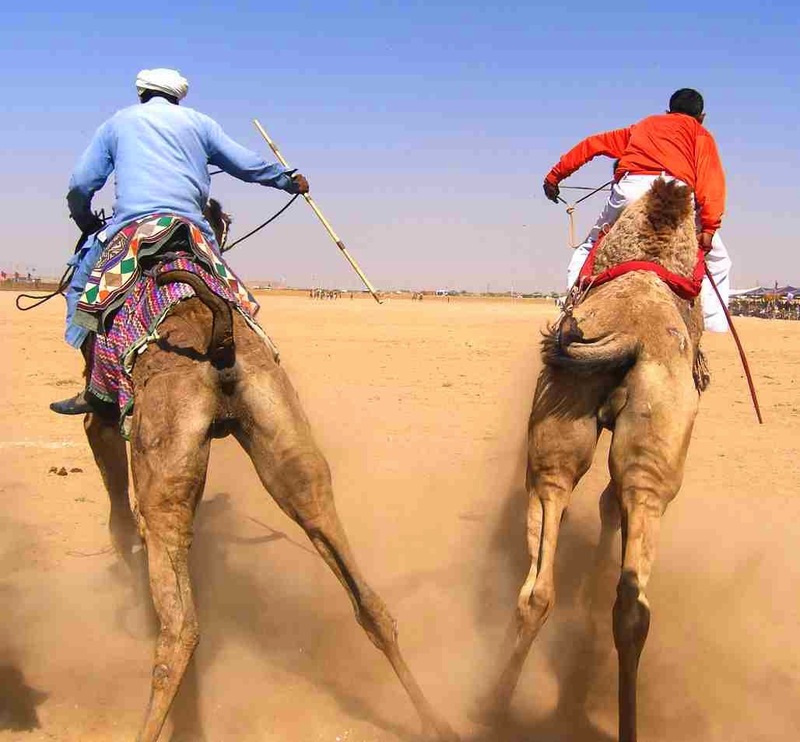 Confused, both men rode their camels toward the city, step by step, as slow as they could. As luck would have it, the Great Sage was passing by. Seeing him, they pleaded for his wisdom. "How might we resolve this such that it doesn't take the rest of our lives," said the first man. "And yet it must be in a competitive manner," added the second. "Neither of us are willing to concede." The Great Sage stroked his beard and shared his wisdom. On hearing his advice, both men ran back to the camels and raced toward the city as fast as they could. What was the Great Sage's suggestion? The Great Sage told them to swap camels. It is the second camel, not person, to reach the city gates who wins.